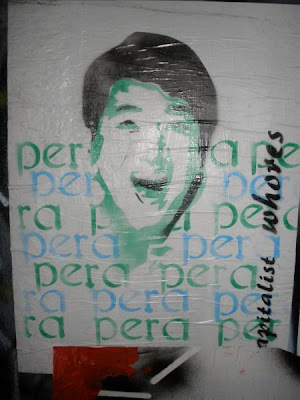 At least 10 posters branding popular "Wowowee" host Willie Revillame as "Capitalist Whore" and "Wowpera" have mysteriously appeared on Escarrio Street, Barangay Kamputhaw in Cebu City. Village officials said they are still facing a blank wall on who might might be responsible for putting up the anti-Revillame posters. They suspect that the culprits are not residents of Barangay Kamputhaw. Village chairman Dondon Donaldo assured that his men would double their efforts in patrolling the area to catch the culprits and avoid a repeat of the incident!